Forms are fillable as noted. To use these fillable PDF's, click on the form to open it and save to your computer. Open the form from your computer fill out, save, and print or attach it to an email. If you do not save the form and open it from your computer, the information you typed, will not be saved. 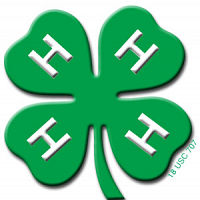 Deadline to register fo rthe 2018 Tolland County 4-H Fair = Friday July 27th, 2018.